Katerina’s Secret: is confession good for the soul? I’ve always been into murder; it started years ago when I was little and would read any Agatha Christie books I could get my hands on. I like the kind of murder stories that require layers and layers of secrets to be uncovered. I also loved Sherlock Holmes. I’m not sure what the fascination was with it, but people just like to read about crimes and criminals. One of the things that has always intrigued me was the idea of confessing to something. If you have killed someone and you know there is absolutely no evidence – all you have to do is keep your mouth shut – then why does anyone confess? But people do. Is it bragging? 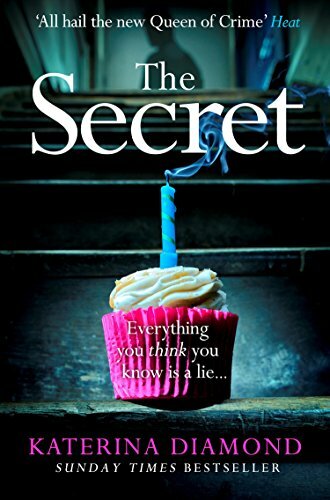 Is it only worth having a secret if people know you have it? And once they know you have it, is it only a matter of time before they discover what it is? I used to collect true crime magazines and I remember finding a giant stack of unsolved murder magazines at a car boot sale. Much to my mother’s horror I bought them, and I think she thought I was planning something. I read a lot about serial killers and all sorts so this was not out of the ordinary for me; as a borderline goth I was into the macabre. It amazed me how many were unsolved, how many people knew the truth of these things and kept it to themselves. I felt so sorry for the police officers who had to investigate relentlessly only to come to dead end after dead end. The unsolved crime that jumped out at me was the story of the Black Dahlia, an up and coming Hollywood actress was found brutalised and dismembered by the side of the road. They never caught the person who did it. Several people confessed to the crime as much as almost 40 years later when a man confessed to the murder, with details that had previously been unreleased to the public. It’s possible it was him, or it’s possible someone had confessed to him years earlier. Either way, that secret got out; it’s as though human beings are incapable of keeping secrets, as though our conscience won’t let us. However they couldn’t officially prove his confession and so officially speaking, the black Dahlia murder has been unsolved for almost 70 years and is unlikely to provide a live suspect now given the age of the crime. I wonder if there will ever be a breakthrough. It’s amazing to think of a person going through their whole life knowing that they did something so horrific and never telling a soul while I can’t even keep Christmas presents a secret!